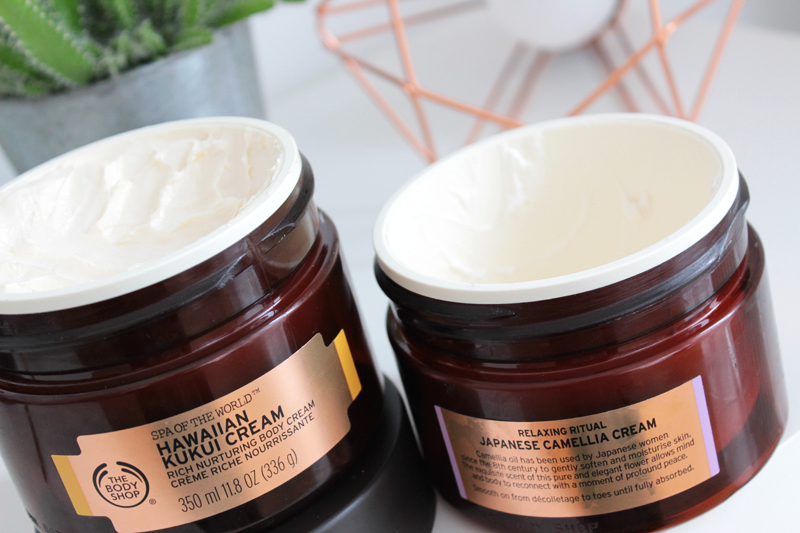 I was using the The Body Shop's new Japanese Camellia Cream yesterday right before I went to bed when I realised that I hadn’t told you about my new body cream crush yet. How could I forget? I got two of the new The Body Shop Secrets Of The World (name in the UK & US: Spa Of The World) body creams this August and I haven’t used anything else since. It was love at the first sniff, because they not only feel wonderful on the skin but also smell absolutely divine! Both feel really luxurious but have a friendly The Body Shop price tag that make them not only perfect to treat yourself, but a great tip for the upcoming holiday "what gift am I getting this year?"-period. The new and pretty luxurious Secrets Of The World range launched mid August in most of Europe and a few weeks ago in the US. It's a pretty extensive range with a lot of products that stem from beauty rituals from all over the world. The Body Shop team particularly looked for beauty rituals that have been passed on from generation to generation because of their beneficial properties for the skin. Natural ingredients, refined textures and amazing fragrances are at the center of all these products; you could say that this is the luxurious spa-feeling alternative within The Body Shop's product range. I got a few products to try out from the collection and they all smelled and felt lovely, but the ones that spoke to me the very most were these body creams. They're seriously ah-mazing! From the 'Relaxing Ritual' segment in the range I tried the Japanese Camellia Cream, which is so good I nearly finished the whole 350ml tub as demonstrated in these pictures. 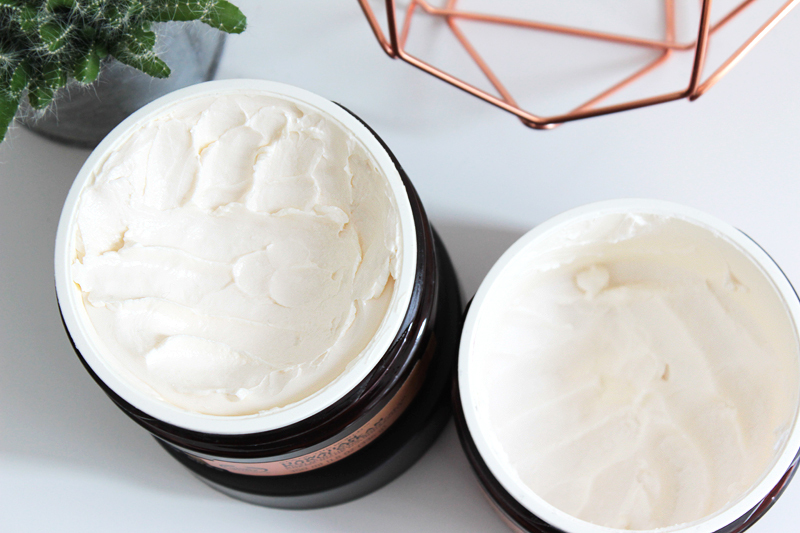 It feels very velvety and in terms of texture lays somewhere in between a body cream and a body butter. Camellia Oil has been used by Japanese women since the 8th century to moisturise their skin, it's pressed from the seeds of the same species whose leaves are harvested to create black, white and green tea. The cream is fragranced with camellia seed, which smells delicious! 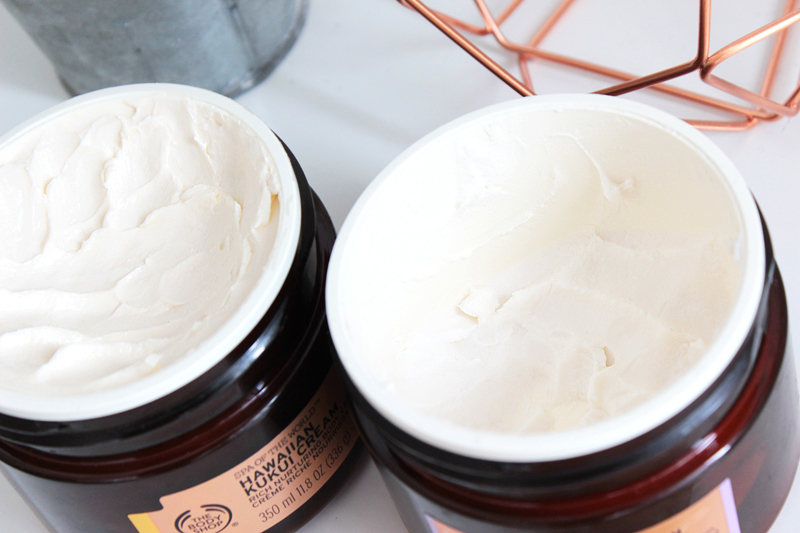 The Hawaiian Kukui Cream is much richer in texture and belongs to the 'Blissful Rituals' segment. Hawaiian women have always used kukui oil to nurture their skin as they're skin is almost always exposed to the sun. Kukui Oil is bursting with moisture and restores skin's natural suppleness. Kukui seed oil is rich in fatty acids and vitamins and contains high levels of linoleic acid, which makes it effective in moisturising dry skin. The scent of this one is a little heavier, but still very delish! Both creams contain a good amount of precious oils & natural ingredients, and it really shows (feels)! The Body Shop is very open about their ingredients, the whole list is always listed on their website which is great for anyone who's looking to avoid a certain specific ingredient. I really like how these look, how these smell & most of all how they make my skin feel: it still feels soft and moisturised after many hours. I'm a huge fan!